I bought a case of Matzos on sale but there’s no way I can eat the whole case. I have three 16 ounce boxes unopened and fresh up for grabs. 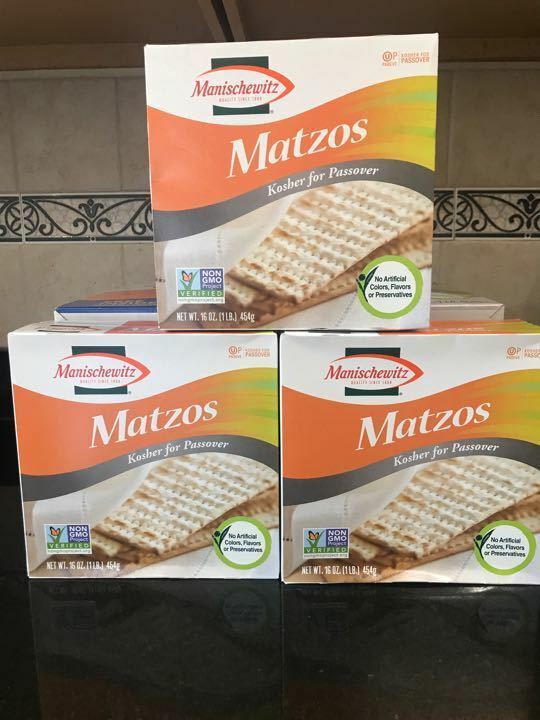 You can make Matzos balls for soup, egg and Matzos for breakfast or put peanut butter and raisins on a piece for a great snack. Many uses. Kosher.